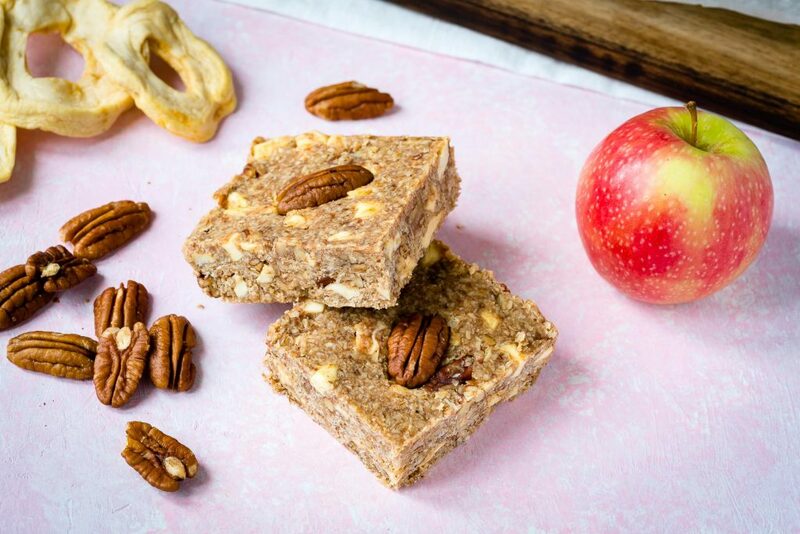 Healthy Apple Pie Energy Bars You Can Make at Home! Preheat oven to 350° f and layer a large flat, rimmed baking tray with parchment paper. 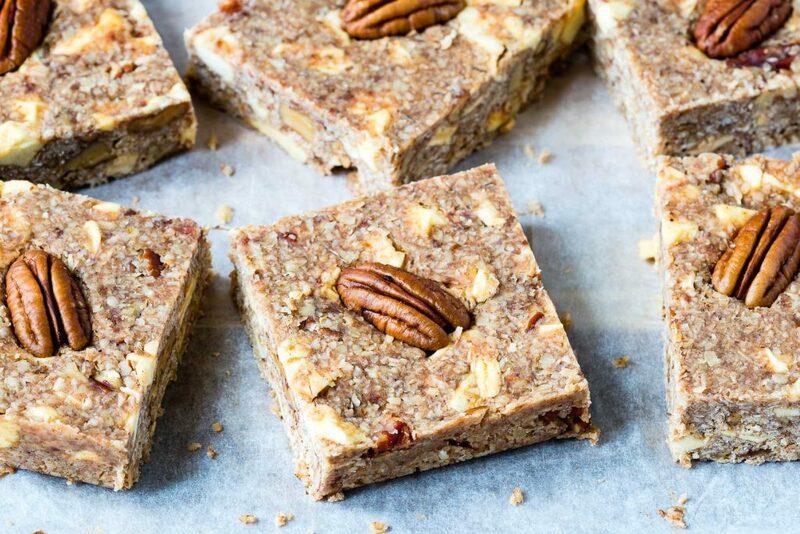 In a large bowl, combine oats, coconut, pecans, coconut oil, cinnamon and nutmeg. Mix well to combine. Place mixture in a single layer on the baking tray. Bake for approximately 10 minutes until golden brown. In a saucepan over medium heat, combine water, honey, dates and vanilla. Simmer on low for 2-4 minutes until the dates are soft. Place this mixture in a food processor, or blender and process until it’s a smooth paste. 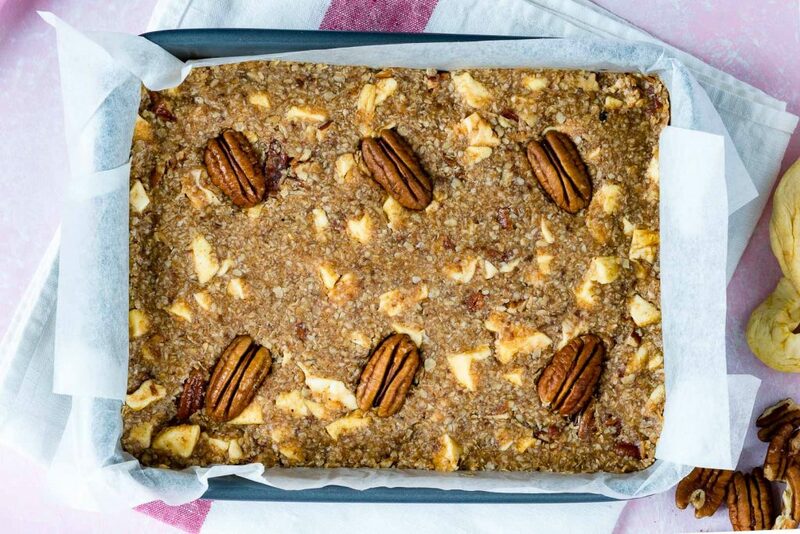 In a large bowl, add the roasted oats mixture, the date paste and the chopped dried apples. Stir until well combined. Press the mixture into a 13×9 pan, and cover. Refrigerate for 2 hours or until firm. 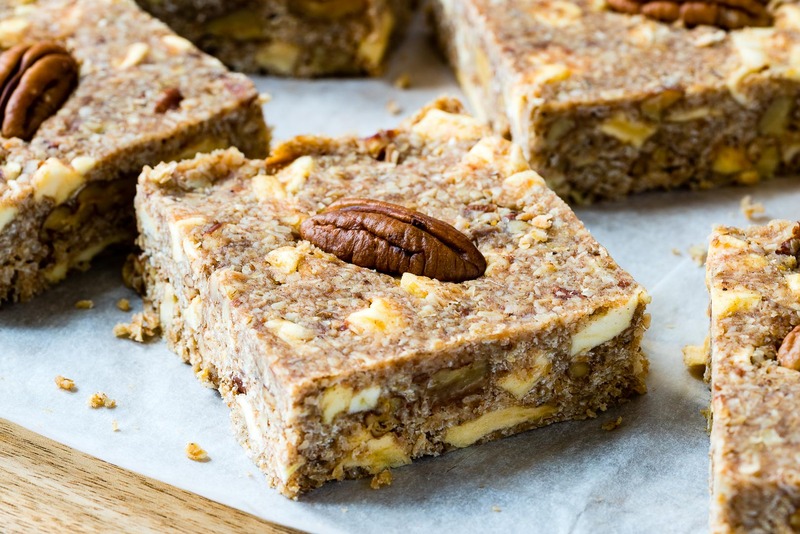 Remove from refrigerator and cut into 20 bars. 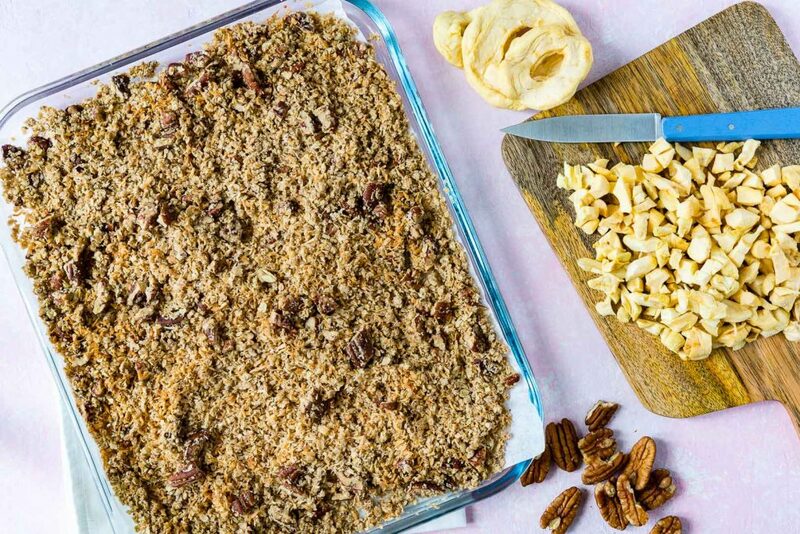 In a large bowl, combine oats, coconut, pecans, coconut oil, cinnamon and nutmeg. Mix well to combine. Place mixture in a single layer on the baking tray. Place this mixture in a food processor, or blender and process until it's a smooth paste. 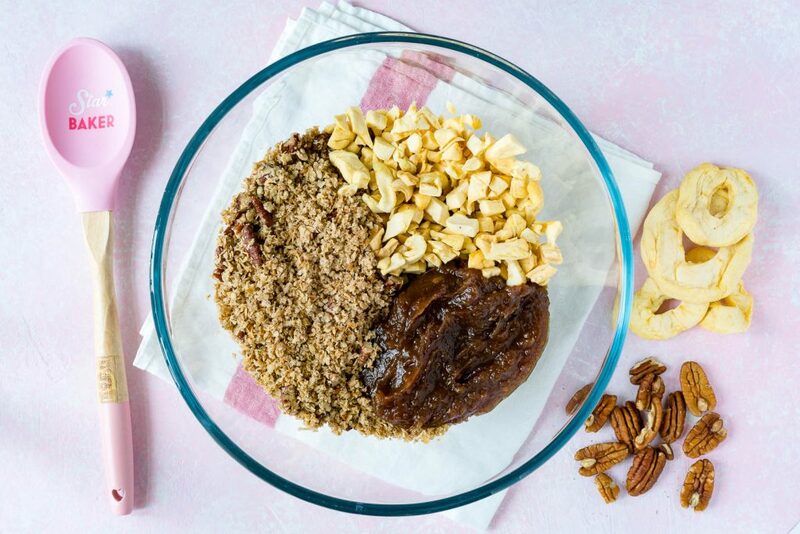 In a large bowl, add the roasted oats mixture, the date paste and the chopped dried apples. Press the mixture into a 13x9 pan, and cover. Refrigerate for 2 hours or until firm.